Punk, 2077. Dragged from a burnt out spaceship in the scorching heat of the Benidorm desert to a neon-lit Chinese disco on the dark side of the moon. 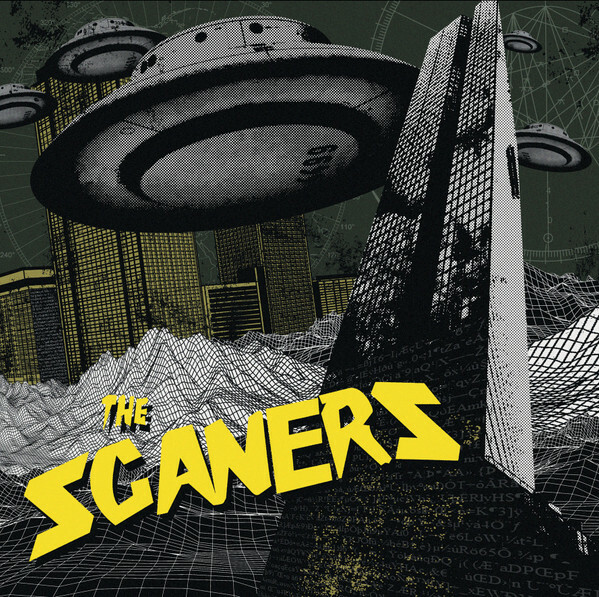 THE SCANERS. 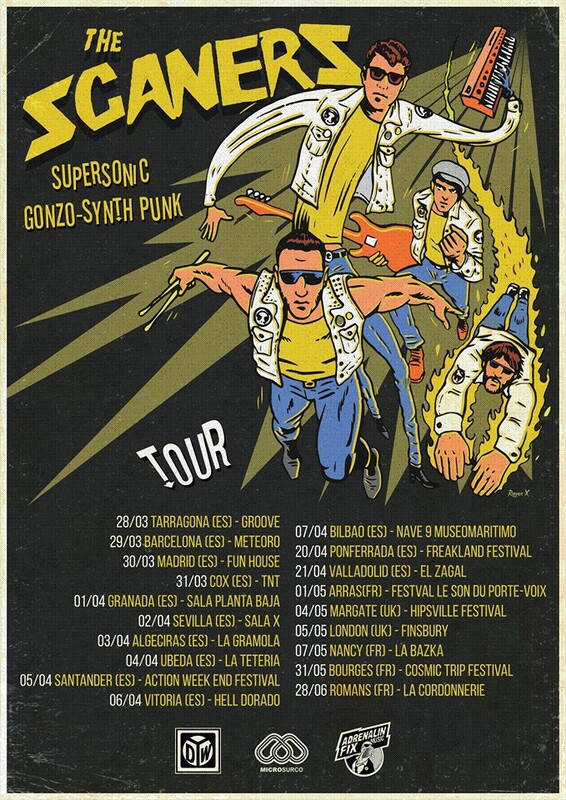 French gonzo-synth punks and intergalactic scuzzball house band. Miscreants from a future generation. Clad in white from head to toe, bug-eye shades peer out through a dirty water fog. They play a blistering set of songs that will propel, or had already propelled, them through the atmosphere on a fix of adrenalin in 2019. Is it the past or the future, for the present seems far away? Their second album, put simply, ‘II’, is a breakthrough moment, when the crawling Lo Spider once again takes control of this paranoiac, extra-terrestrial-abducted and abducting quartet and bounces the finished 12 doses into the hands of garage master Jim Diamond for mastering. The result? Another bombastic, swirling garage acid trip through the stratosphere. Insane flights in the spiked punch bowl that is our galaxy. Once again, as on their debut album, that which hit many ‘best of 2018’ lists, we are hurtling through space, kidnapped and unaware of where we head. With THE SCANERS as our only guides we’re tripping through on hyperspeed right from opener Please Abduct Me. Gonzo space punk a-go-go. The songs on II fly by full of alien abandon. More new-wave than their debut, but still an intergalactic riot. Europe is on the move, succumbing to the infectious tractor beam-like tunes of The Scaners. All that is left is for the rest of the world to awake from their lucid dream state, shake off their shackles, and take flight. ma dico il negozio, era in Italia? qua non risulta la data che dici, probabilmente perché è "a casa loro"
Adesso ho capito chi sono gli Scaners. Guardando le loro foto mi sono reso conto di averli già visti suonare un paio volte oltre ad averli incrociati ad un concerto di Ty Segall come spettatori.